A therapist is someone who has been specifically trained in mental health issues and has received supervision in the art and practice of providing psychotherapy (“Talking therapy”). This includes Individual Therapy and Group Therapy. Are there different types of Therapists? Yes. Therapists can come from many different professional backgrounds, and can have a wide range of skills and differing levels of expertise. Victoria Alexander and Glenn Munt are all Social Worker’s and Registered Mental Health Providers with Medicare. What Treatments can a Therapist provide? Some therapists also provide Group Therapy. In 2019 Victoria Alexander will be providing Group Therapy options for young children and teens attending Brisbane Specialist Suites. Our Group Therapy program provides treatment for a range of conditions. For more information, please see our Group Therapy page. Do I need a referral to see a Therapist? Anyone can see our Therapist’s without a referral. However, if you would like to receive a Medicare Rebate for your treatment sessions, you will need to obtain a suitable referral as described below. Victoria Alexander and Glenn Munt are registered Medicare providers. To be eligible for a Medicare Rebate you must obtain a suitable referral for treatment under the Medicare Better Access Scheme from your General Practitioner or Psychiatrist. Under this scheme, you will be entitled to receive a Medicare rebate for up to 10 sessions of individual psychological treatment (Individual Therapy) per calendar year (January to December). In addition, you are entitled to receive a Medicare rebate for up to 10 sessions of group psychological treatment (Group Therapy) per calendar year (January to December). 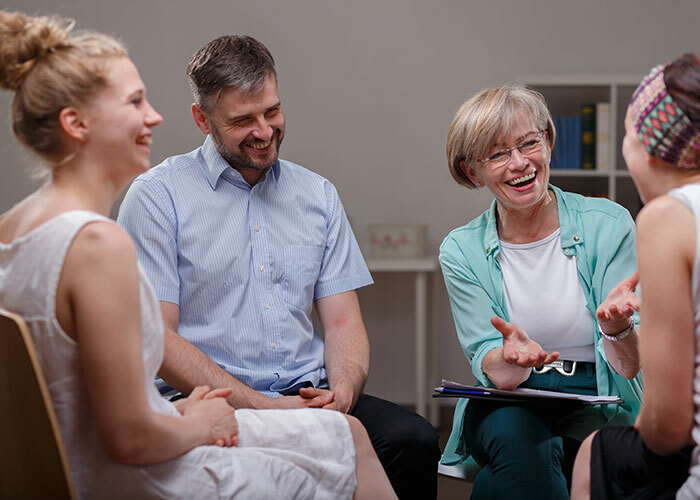 Structuring your treatment so that you have an opportunity to attend Individual Therapy and Group Therapy sessions can be an effective way of extending your treatment under Medicare throughout the calendar year. In addition, if you have reached the Medicare Safety Net threshold for the calendar year, your rebate will rise so that your out of pocket expenses may reduce further. If you have complex and/or chronic medical illness (symptoms more than 6 months’ duration) you can claim a Medicare rebate for up to five visits with a Psychologist per calendar year (January to December). To be entitled to this rebate, you must be referred by a General Practitioner under a GP Management Plan and Team Care Arrangements (TCA). Team Care Arrangements (TCAs) – (item 723). Your General Practitioner is required to develop a written plan for Team Care Arrangements (TCA) in conjunction with at least two other allied health professionals (for example a Therapist and Dietitian). Your General Practitioner will then provide a copy of this plan to those professionals, and this provides the basis of your referral. (Please note, the GP Chronic Disease Management (CDM) items have replaced the earlier Enhanced Primary Care (EPC) items, and the new Team Care Arrangements (TCA) have replaced the earlier EPC Multidisciplinary Care Plan items). It is not necessary to have a new GPMP or TCA prepared every calendar year in order to be eligible for ongoing treatment. You continue to be eligible for a Medicare rebate for as long as the need for eligible services continues to be recommended by your plan under the supervision of your General Practitioner. Our Therapist’s can provide treatment for children needing support with the diagnosis and early intervention treatment of autism or any other pervasive developmental disorder (PDD). To be entitled to this rebate, you will require a referral from a Child Psychiatrist or Paediatrican. Under this scheme, you can receive treatment for two specific types of services – assessment services and treatment services. Some private health care funds (such as MBF and Medibank Private) offer additional rebates for therapy services, depending on your level of cover. Please contact your individual health fund to check eligibility. For further information about psychology services and rebates please go to the Department of Health website at www.health.gov.au/mbsonline or call Medicare Provider enquiries 132 150.